The player is determined in his quest to make it to the top of the sport and together with the company will look to grow the sport’s profile in the country. 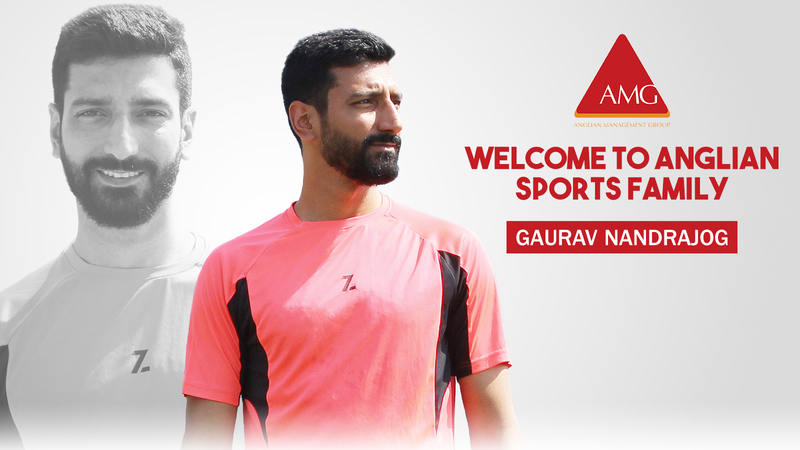 Squash is one of the ageing hits in the sports industry of the country, the emergence of the racket and ball sport is steadily yet slowly making its mark in the industry and in the hearts of the people and so is our new recruit, Gaurav Nandrajog. The player from the National Capital Region has been in this sport since the early days of his teenage and now after two decades and several career-threatening injuries, he is ready to climb the national and international rankings with his confidence and sheer determination to start afresh. What started as just something to keep up with the daily routine became a serious passion for him after he began training with the then national level players. The Defence Services Officers’ Institute was his first den to incubate and develop his arsenal. It was the experience of his fellow players that he was intrigued to play the sport and make a career out of it. He worked hard for his future and won the 1998 National Championship in the U-15 category. “In those days my short aim was to rectify my swing and stances, the aim in the medium term was to play the tournament in 4-5 months and the long-term aim was to be the number 1 in India,” an ecstatic Gaurav Nandrajog said while sharing his journey. He represented India in 2001 at the Asian Junior Championship, being the number one in India at that time as well, let alone being the best in the team of U-19 category, being just 17 years old. At the senior level, he has been at the 2nd position on various occasions, only behind Saurav Ghoshal, his long-time foe in the field. While he was away from professional competition, he has been coaching budding Squash players in various training centres in the capital for more than six years. “I am really thankful and glad to be a part of the Anglian Sports family. I hope that we stay put and wish for a glorious time ahead with the group and on the court as well,” added Gaurav Nandrajog. 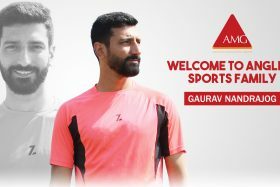 “Anglian Sports will be joining hands with more athletes like Nandrajog in the near future and it is a great time for the company. We are taking bold actions towards achieving common objectives and are exciting about seizing the opportunities of the future.” The CEO of Anglian Sports Management group, Prasad Kapre, brought down his thoughts.